The Snowcaster 30SNC is a beastly snow pusher with a 36-inch blade. The wheel makes pushing and shoveling snow 50 percent more efficient. 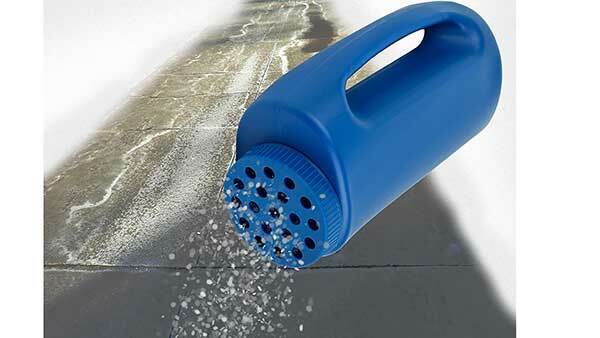 It requires no lifting or straining, making getting snow off the sidewalk or driveway a whole lot easier. Unlike a conventional shovel, a snow shovel with wheels requires no lifting or straining. It reduces fatigue, is faster, and makes shoveling snows a whole lot more enjoyable. 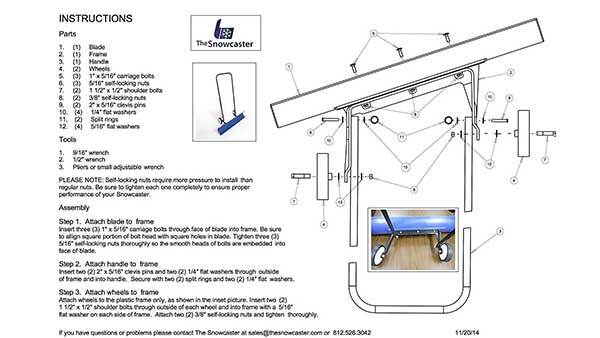 The Snowcaster is easy to set up (advertised as assembling in under 10 minutes). The Snowcaster is also made in the USA. Makes a great gift for mom, dad, or anything that has an area they need to keep clear during the winter. To buy this product on amazon, or to get the latest pricing and product information, hit the check it out button at the top of the page. You could also combine this gift with a hand held salt spreader.